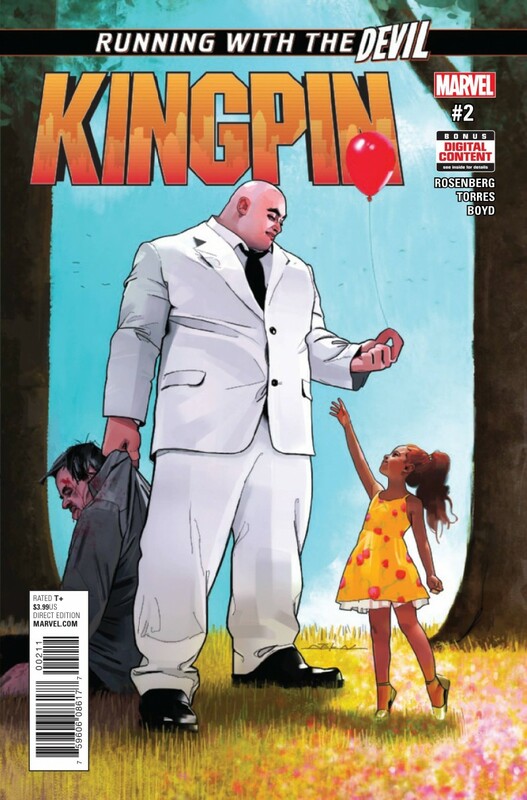 WILSON FISK’s criminal past has tarnished his public image, but to move beyond it, Fisk must face the demons of his past…and convince the world he’s changed! Writer SARAH DEWEY has conflicted feelings about helping him turn over this new leaf…but is Fisk’s promise of complete transparency and a big (legal) pay day too good for Sarah to pass up? This is the Kingpin in all his brutal honesty…the man, the murderer, the criminal… and the good Samaritan? !